My interested towards volcanoes, rocks, and natural phenomena led me to pursue an undergraduate degree in Geosciences at Paris South XI University and, later, at a master’s level at New Mexico Highlands University. As part of my master’s degree I conducted research investigating fossil magma flow direction within an extinct volcano in New Mexico, to improve our understanding of volcanic eruptions. This research provided me with a fundamental understanding of the study of the Earth Magnetic field and the magnetic properties of rocks. The skills I acquired during my master’s degree provided a solid basis for the work I have undertaken as part of my PhD at Michigan Tech. 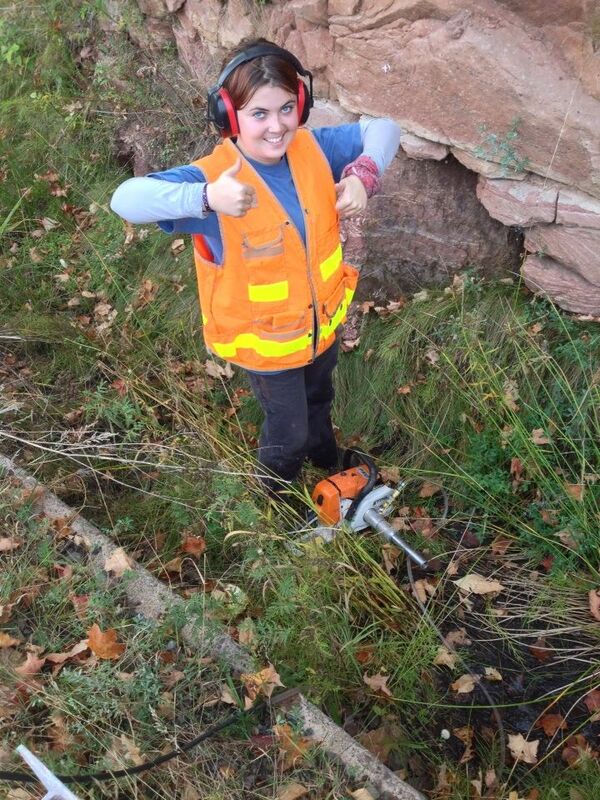 I joined Dr Smirnov’s research group at Michigan Tech as a PhD student in Geophysics in August 2013. My primary research project involves the study of variations in the Earth magnetic field. Specifically, I investigate the strength and direction recorded in 1.1 billion year old rocks located in Baraga and Marquette counties. One of the goals of my research is to constrain the (currently unknown) age of the planet’s inner core. During my time at Michigan Tech, I also had the opportunity to organize, and take part in, multiple fieldwork collection campaigns. These expeditions included the Keweenaw Peninsula and Baraga-Marquette counties (Michigan), Ontario (Canada), and several provinces in China. In addition to my research duties I have been involved with several outreach and peer-mentoring programs. As part of these activities I have had the opportunity to work with people from a variety of educational backgrounds (e.g. people of the community, teachers, and professional geologists). I am very grateful to have been awarded the finishing fellowship from the Graduate School. Thanks to this financial support, I have been able to concentrate my efforts towards finalizing my dissertation and preparing the research I conducted at Michigan Tech for submission to peer-reviewed scientific journals.